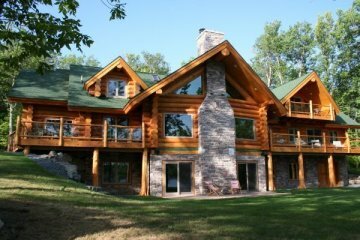 Welcome to Yellowstone Log Homes of McGregor, MN! 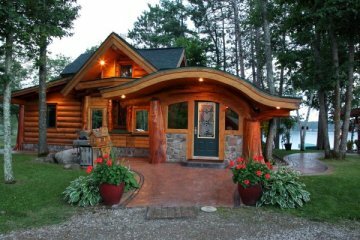 The interest in log homes has been sweeping the country. The comfort, warmth and energy efficiency that can be found in a log home has greatly increased public interest and started an upward trend in custom building. Our homes begin with quality made Douglas fir and lodge pole pine delivered directly to your building site from Rigby, Idaho. We are currently in the process of building a new log home. To watch our progress click on "Work in Progress" above. For more information about log packages click here. We are here to help you design and build the dream home that you have been waiting for. Sit back and enjoy our website. Click on either image to see more pictures of these two homes. To view more of our finished homes, click on "Gallery of Homes" at the top of the page.